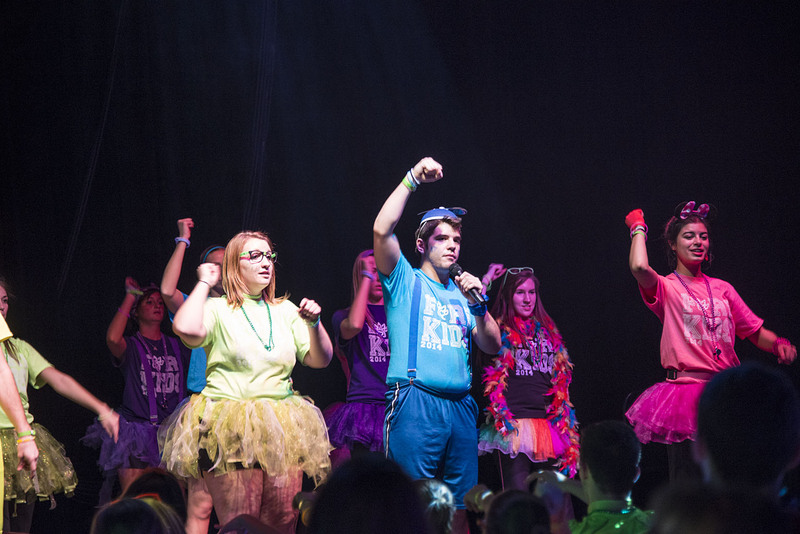 The second Raiderthon dance marathon topped its fundraising goal, bringing in more than $61,000 for Dayton Children’s Hospital. Music was thumping, students were grooving, kids were cheering and charity was overflowing. This was the scene at Saturday’s immensely successful second annual Raiderthon, a dance marathon that brought the Wright State community together to raise money for and awareness of local children fighting life-threatening illnesses. By the end of the 15-hour event, participants had raised $61,018 for Dayton Children’s Hospital, topping last year’s total of $50,389. Students, staff, faculty and community members flooded the Student Union Apollo Room for nonstop dancing, games and other activities. 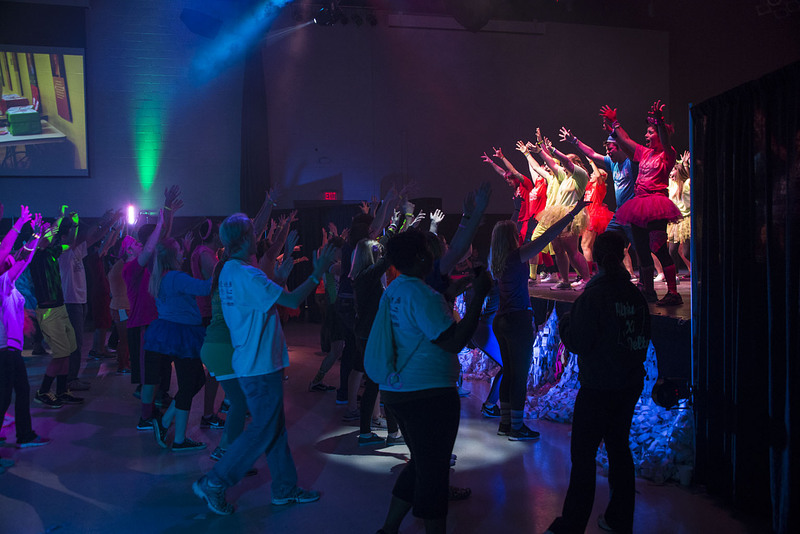 During the event, hundreds of students, staff, faculty and community members flooded the Student Union Apollo Room for nonstop dancing and celebrating. But dancing wasn’t the only activity on the Raiderthon docket. A myriad of lively activities ranging from Harry Potter trivia to a pizza eating contest to a demonstration by a hypnotist took place. Jackie Kucirka, president of Raiderthon, said that throughout the event, no one lost sight of the real reason for dancing. Children whose lives have been saved by Dayton Children’s Hospital, like siblings 10-year-old Ella and 8-year-old Jude Bowman, joined participants on the dance floor. Ella beat cancer thanks to Dayton Children’s, and Jude is being treated there for a neurological disorder. Kucirka said a majority of the raised money will be spent on giraffe beds in the neonatal intensive care units, where premature or ill infants are cared for. Each hour of the event was dedicated to celebrate the lives and triumphs of 16 miracle kids and their families. Throughout the night Ella, Jude and other miracle kids shared their inspirational stories of overcoming medical obstacles. 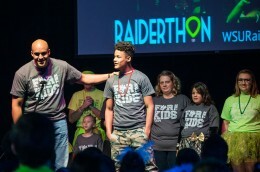 Each hour of Raiderthon celebrated the lives and triumphs of 16 miracle kids and their families. 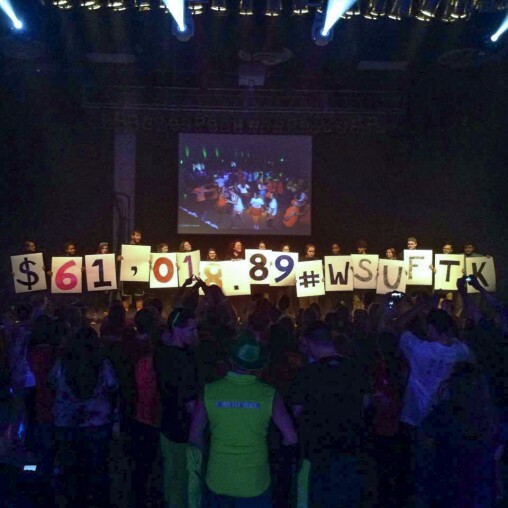 “I was blown away by the sense of community Wright State generated for the event,” said Kayla Muncie, who was at Raiderthon for the full 15 hours and was exhausted at the time of this interview. She said Raiderthon has grown into something huge since she attended last year’s event as a freshman. Wright State’s Greek community also turned up in scores to support the cause. Matt Buford, a member of the Sigma Phi Epsilon fraternity, said it was amazing experience to support children and help save their lives. “The fact that we as a community have met and exceeded our goal two years in row speaks volumes to the success of the event,” he said. 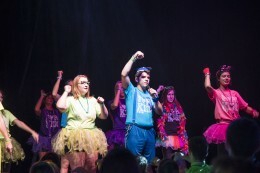 Kucirka said she was floored when she and the Raiderthon committee revealed to a cheering crowd at the end of the event that the dance marathon had raised $61,018. Raiderthon participants listened to live bands and DJs, line danced, belly danced and did Zumba. Kucirka also thanked the Raiderthon committee and advisers Gary Dickstein and Alyssa Cannella for their hard work, as well as the sponsors and supporters, including BLC Entertainment for helping to create a lively environment for the event.